In today’s thriving world of social media, whether you realise it or not, you may be constantly judged by the kind of stuff you put up online (or say offline to another peer). Here’s a handy little list of things you can avoid saying/doing, we sincerely hope this helps you and clears any doubts you’ve had in you head. Feel free to add on your comments/suggestions. Alongside, or featured in the line up is a much better way to put this across. Quite frankly opening for someone means, you were the last person to touch the mixer before handing it over to the ‘main act’. The industry is very small and tight, even if not intentional these things can add to an unnecessary tarnishing of your reputation. A “live set” usually involves some degree of improvisation to your performance, a healthy dose of uncertainty as you intermingle different elements / stems of sounds to create something on the fly. Hooking up your Maschine and using note repeat on it or the addition of hi-hats loops from your Traktor Remix decks does not count as a ‘live set’. All DAW’s offer pretty much the same functionality and their most important requirement is YOUR input. Often hear people say “It’s kinda hard to do that on Logic hence I’m not able to get where I want to with my sound” or “You’re mixes sound better because you’re using Ableton”. There is no such thing as a specific DAW that’s great for a specific genre/sound. Just put your best ideas forward and any DAW will bring them to life, because there are people that don’t even use a DAW and make amazing music. 5. What’s the difference if I just rip it off Youtube/Soundcloud ? Well then, buy it ? Thus giving you an edge over everyone else that gave up on a really nice track that they liked, but decided to ignore it just because they couldn’t find it for free. When you buy music, it introduces a degree of discipline in choosing mostly what you really want because you’re paying for it. Seek the specific music that you are after, rather than downloading generic packs of track off torrents. Technically you can call something you made a ‘release’ when it has been ‘signed’ by a label and distributed across global online stores such as Beatport / Juno for anyone to buy. Until then, everything else you have available for download on your Facebook / Soundcloud available for a free download cannot be termed as a ‘release’. Bootleg is a more apt term to use in this case. Especially if you have just made your own version of a track that you like, you may also call it an edit. 8. 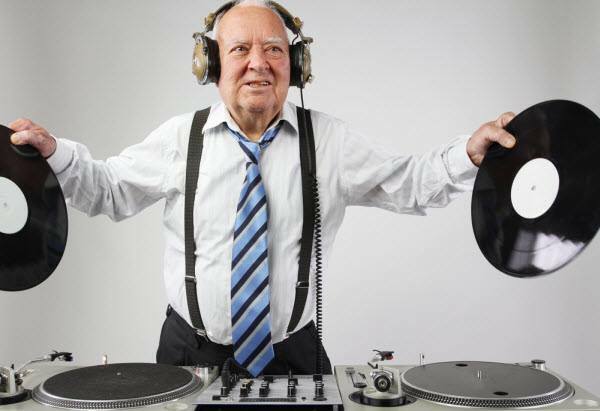 I’ll play just a couple more tunes..
As DJs we all love playing music to our audience, right ? So contain your excitement before saying this to the DJ you’re handing over the console to, because he’s probably as excited as you are to play his music. At the least, be courteous in the manner you ask, and don’t make this request by any means if you’ve been asked to stop because he wants to take over. It’s great to have friends that support you for what you’re doing and think your amazing, let that good spirit roll. But what’s important here is, to know and realise where you truly stand. Be your own worst critic, and if you do ever seek critique please do so from relevant people in the music scene like other artists you like or admire than your non musically inclined friends. Sure, they may have a few good things to say ,no discrediting that. Just don’t fall for a “Bro! I think your set should have more pumping tracks, everyone will love it!” when you’re trying to bag a warm up slot with your mix for the next big gig in town. Dissing the scene for the lack of your efforts is pointless. Make your most sincere efforts to share the music you love and want to play, show your passion. You don’t just get noticed by ‘learning to dj’. Stop putting pictures of your studios and all that jazz, put up a mix / charts every month, that shows your dedication. Go out and make friends with the DJs/Promoters that are curating the scenes in your city, hand them over your mixes personally than spamming them on social media. No. Nope. Not at all, Nah. Put the music first and foremost. Here how having a manager works basically, if you already have a half decent reputation, a manager can help and push you basically by doing something that all of us aren’t good at, i.e talking about your own achievements. And when I say achievements, think on a national / global level. “Winner of War of the DJs – South Bangalore” doesn’t really make it as a bookable achievement for a festival. Yes, a logo can be a great thing to help you have your identity, but it’s not a requirement to start DJ’ing, and you’d rather spend that photo shoot money on buying some music or maybe even a pro-account on Soundcloud, that’ll benefit you in more ways than one.